If you&apos;ve always dreamed of an outdoor wedding, Bucks County&apos;s bucolic countryside is the perfect place to say ‘I do.&apos; Whether you tie the knot in the shadow of a castle, declare your vows overlooking acres of vineyards or share your first kiss as man and wife with the Delaware River flowing in the background, Bucks County&apos;s hidden gems provide an unforgettable setting for your special day. • For more than 200 years, Andalusia has been an image of pristine beauty, perfect for an outdoor wedding. Rising along the banks of the Delaware River, Andalusia&apos;s Geek revival architecture provides an added air of dignity to your ceremony, and the on-site event staff will guarantee a day of pure happiness. It&apos;s no wonder Andalusia is one of the most popular wedding venues in Bucks County. • Travel back in time to 17th century Pennsylvania at Pennsbury Manor. The reconstructed home of Pennsylvania founder William Penn offers a colonial feel with a waterfront view. Picture yourself walking down a tree-lined path that leads to your future spouse. Create lasting memories with idyllic pictures by the river or one of the Manor&apos;s many rustic outbuildings. This 43-acre evergreen property hosts outdoor weddings for up to 500 guests from May until October. 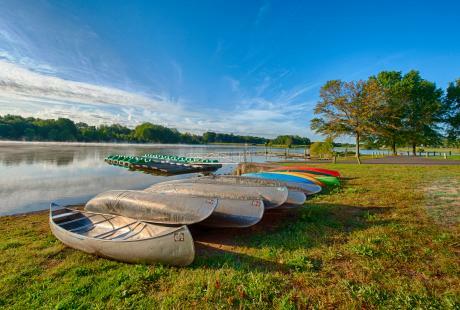 For traveling families, Pennsbury Manor is just a short drive from the area&apos;s finest bed and breakfast inns. 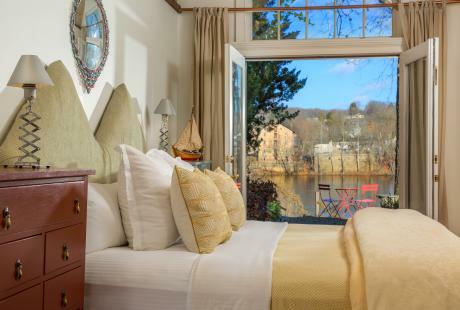 • Enjoy the shear elegance of the Centre Bridge Inn in New Hope. This 19th-century-inspired inn provides an extensive list of vendors to help you craft your dream wedding. 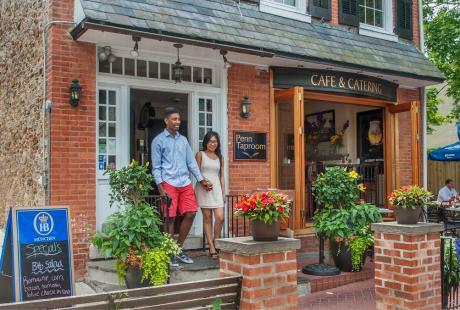 Explore the historic Delaware Canal, which only adds to the romantic atmosphere. Last year, the inn built a brand new outdoor patio, overlooking the river and the scenic Centre Bridge, perfect for wedding photos. 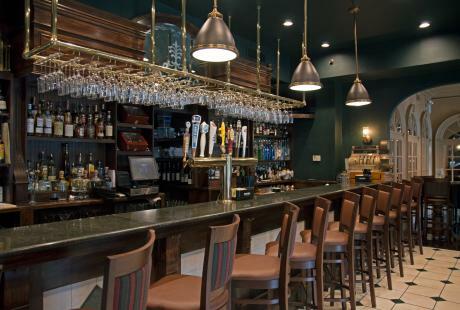 As an added convenience, the inn offers overnight rooms to accommodate you and your favorite guests. • Have a historic wedding day at Nostalgia in Chalfont. The three acres of gardens provide a scenic setting for your ceremony while Nostalgia&apos;s farmhouse can host a reception for up to 250. The farmhouse, built in 1720, features an expansive dance floor and fireplace. Customize your wedding package with your own personal menu and seating arrangements. • Couple rustic farm grounds with elegant meadows at the Ash Mill Farm. Breathe in the farm-fresh air and host your ceremony under a lavish tent or the on-site barn. Up to 250 guests can spend time exploring the 10-acre grounds of this working sheep farm. Work with the on-site planners to customize your perfect wedding menu featuring hors d&apos;oeuvres, buffet stations and plated service. After your guests have left, spend your wedding night in one of Ash Mill Farm&apos;s seven rooms or suites. • Host your wedding in a bucolic barn at the Barn at Tinicum Park in Erwinna. Exchange your vows in the shadow of the rustic barn before heading inside for an authentic country reception. With room for up to 120, the barn provides the perfect venue for more intimate gatherings with family and close friends. • Built in 1812, originally as a dairy farm, Durham Hill Farm stands as one of Bucks County’s most historic and rustic stone bank barns. The farm specializes in weddings and other special events with indoor and outdoor space, ceremony space, a carriage house and authentic 19th century rentals. Create lifelong memories with your loved ones on this elegant, local farm. • Celebrate your new beginnings and special events at The Farm Bakery and Events in Quakertown. With picturesque sweeping views and a rustic barn refurbished from the 1820&apos;s, the farm is a perfect rustic backdrop to share memories with family and friends. The barn is situated on 54-acres of land and can accommodate 160-200 guests and provides additional space for outdoor tents. Have your event catered by the staff at Seedling & Sage which specializes in farm-to-table dining. Be sure to take advantage of the bakery on site that specializes in rustic dessert bars and wedding cakes using locally-sourced ingredients and organic flour from a local mill. • Invite your guests to follow in General Washington&apos;s footsteps at Washington Crossing Historic Park. 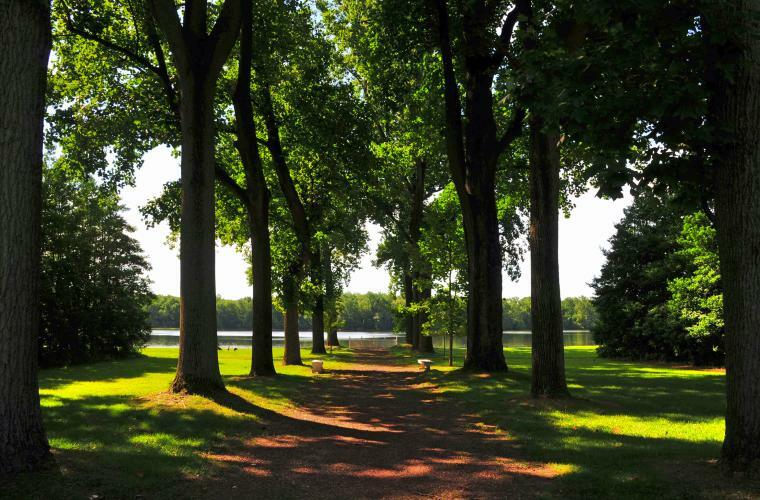 The park sits on the location where General George Washington led his Army across the Delaware River on Christmas Night, 1776. Add your special day to the land&apos;s long history with a wedding on these hallowed grounds. • Step back in time as you walk through the doors of Cairnwood Estate. Built in 1895, the estate highlights many classical forms of design, and offers the perfect place for your big day. 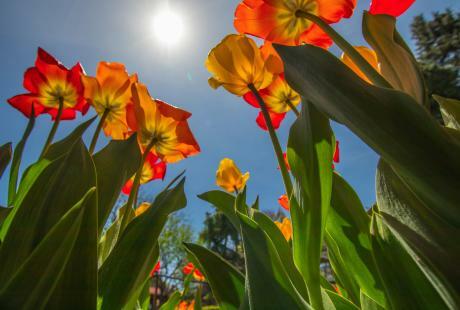 Enjoy the lush gardens and the intense detailing during a guided historic tour, offered Tuesday through Sunday at 10 a.m. and 11 a.m.
• Enhance your special day with historic elegance at the Pearl S. Buck House and Historic Site. The former home of acclaimed humanitarian and Nobel Prize Winner Pearl S. Buck is decorated with an all-inclusive museum featuring fine crystal stemware and artifacts for guests to peruse during your reception. Take awe-inspiring photographs on the manicured grounds and leave a lasting impression by purchasing an engraved brick to be placed in the Preservation Walkway.